Using adverbs can make our writing more interesting to read. They provide detail by describing other elements in the sentence. He quickly ate his sandwich. Tammy’s dress was really beautiful. Glen went to the beach yesterday. So, adverbs are very busy – with so many things to describe. · How often? or How much? Can you think about some adverbs that you could add to each list? And link information …however I detest sweets. So, understanding what adverbs are will help you to check whether you are using them in our work. If you are, your writing will be more detailed thus more interesting to read. Consider these sentences. See how including adverbs makes them better. We can form a clearer picture in our mind of what has been recorded. Tommy never ate a sandwich slowly. Lucy nearly answered the question correctly. The dog sat there patiently. Sometimes, it can be tricky to decide where to position an adverb in the sentence. There are some basic rules we can apply. · When the adverb is describing a verb it can go before or after the verb – choose the one that sounds better. John sings loudly. John loudly sings. Joe carefully put the candles on the cake. · When describing an adjective, place the adverb before the adjective. I go on holiday every year. He walked into the room very loudly. Try to pack extra information into your sentence so that your reader can easily understand what you are trying to say. Remember, adverbs make your work more interesting to read. There are lots of links on the internet that will help you to use adverbs in your writing. Why not play some of these games, and make your teachers very happy when they see adverbs in your work! 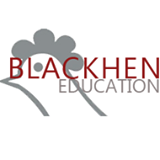 This post was written by Karen Crichton, one of our English tutors at Blackhen Education.